Home Leads and business development Hit rates: What are the benchmarks? Hit rates: What are the benchmarks? 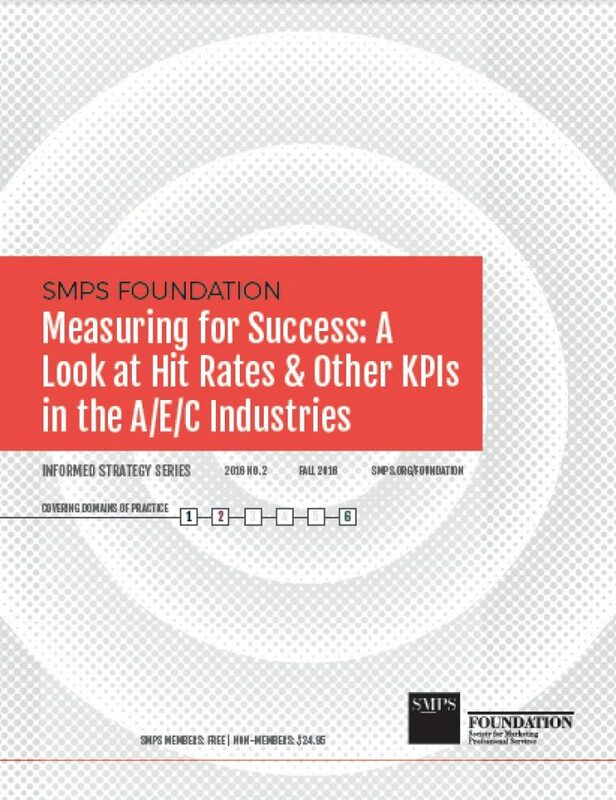 The Society for Marketing Professional Services (SMPS) Foundation has conducted some research into the probably the most common metric used in assessing marketing/business development success — the “hit rate” for proposals. More than 50% of firms submit more than 10.proposals each month, and 15% of the firms submit more than 50 proposals each month. Based on the SMPS Foundation survey, the average hit rate of all methods was 42.07% in July 2015. Engineering firms had the highest average hit rate (44.21%). Construction firms averaged 37.91%, and architecture firms averaged 41.39%. Of course, as several members indicated during questions in a webinar, the devil certainly can be in the details. How do you classify intermittent contracts where services may be requested in multiple situations? And if you are a sub-contractor or consultant bidding with more one prime contractor, how do you measure a successful “hit” when the success or failure may not directly relate to your efforts. The full survey is free for SMPS members (you just need to be logged in with your membership information), and can be purchased by non-members. I’ll share some additional numbers in the next post, but encourage you to review the research yourself.